When Kate and I were debating European vacation options last spring, a big factor in the decision was Via Ferrata. During our last trip (to France) I introduced Logan to the activity and it was one of the highlights of the trip. What I love about it is that it provides a practical way to take the kids up something relatively big. Why not just climb a multi-pitch route? To do that the follower (who is at-best seven years old in this scenario) would need to belay the leader (me). With Via Ferrata, I can belay myself using a VF lanyard to a logical stopping point, then belay the kid(s) up. Leading Amelie up the final section of “stemples” on VF Sass de Rocia. The Dolomites were an obvious destination for our trip, since they are literally the birthplace of Via Ferrata. The first “iron ways” were installed during the grizzly Mountain War—the battleground between Austria and Italy during the first World War. Confrontations occurred all across the Dolomites, and various relics of that horrific conflict are dotted throughout the range. Both sides created VFs to enable troop movements, and the work that went into them is incredible. In some cases, troops tunneled through miles of rock, to the summit of mountains, to little effect. The Mountain War was one of the most futile ventures in the history of armed conflict, resulting in the death of ~600,000 Italian and ~400,000 Austrian troops without achieving any strategic objectives (despite the fact that Italy was “awarded” significant lands from Austria at the end of the war, which explains why so many towns in the Italian Dolomites look, sound and feel Austrian). Presumably a Machine Gun nest, near the trailhead for Lake Sorapis. A Mountain War bunker and trench system at Cinque Torri. These fortifications were primarily used by the Italian side for long-range artillery operations against the Austrian lines on the Lagazuoi peaks, which are the distant mountains across the valley in the upper right corner. In preparation for our trip I got a pair of proper Lanyards for me and Kate* and rigged up a temporary VF to the top of the Gaudi Wall for the kids to practice on. I learned early in the planning stages that Dolomite VFs are much more utilitarian than the designed-for-kids route we did in France—they are generally designed to get people to a destination, not necessarily to provide a Type-I-Fun experience along the way. Generally they involve big spaces between rungs, a high element of adventure, and long, steep hikes to approach (especially in early summer when most lifts are closed). It took quite a bit of sleuthing to track down some kid-friendly options, but they are out there if you know where to look (and come prepared to hike!) 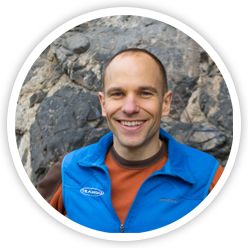 [*Standard VF lanyards are not safe for kids, because kids don’t weigh enough to activate the built-in shock absorption systems–kids should be belayed on a dynamic climbing rope]. The Schuss is the steep snow slope between the towers. The left tower is Ra Pegna. The VF route starts in the vertical shaded gulley on the left, then traverses up and right along the obvious cleft, then zig-zags up the bushy ledges on the right side. There’s also a VF on the right tower (Ra Bujela), but by the time we finished Ra Pegna we had had enough for one day. The first VF we did was located right outside of Cortina on a famous ski slope called the Schuss, which is often used as a World Cup Downhill race course. The Schuss is a narrow chute between two steep rock towers, and our objective, “VF Ra Pegna,” ascends the east face of the southern tower. I learned of this route from Guidedolomiti.com, which turned out to be a key resource for our trip planning. It was designed to be family friendly, and would have been a great introduction for our kids if I didn’t totally hose up the approach beta. Amelie leading the descent from the summit of Ra Pegna. We didn’t have any driving directions, so we just drove to the base of the ski run and attempted to drive up the service “road”. This was basically like trying to drive up a black diamond ski slope, and fortunately we quickly realized our two-wheel drive rental car, with it’s 8 cm of clearance, was seriously out-matched. We parked along the track and walked the rest of the way, which was still quite difficult given the steepness of the pitch. We arrived at the start of the climb already exhausted, but after a short break we were ready to conquer the tower. Logan on the last vertical stretch of the descent from Ra Pegna. Frankly, the descent was more interesting than the ascent, and if I were to do it again I would consider climbing up the descent route instead. The VF itself was uneventful, but a bit tedious due to a long traverse in the middle. Traverses are the bane of any VF-with-kids. It’s really easy to belay kids on straight-up pitches, and even haul them up if necessary, but not so on traverses. When traversing, our kids clipped into the cable (in addition to the rope belay) to protect against pendulum falls. This works great when the kids can reach the cable easily, but most of the time the cable is placed such that an adult can stand on the best footholds (usually some kind of ledge) and easily reach the cable, around chest-height. That puts the cable well out of reach of a 5-year-old girl most of the time. Despite these challenges, we made it to the top, but we were VF’ed-out for the next few days. Entering the first slot canyon on the VF Sass de Rocia. Yep, still wearing the same shirt! The next adventure was the perfect objective for a family on a sport climbing trip. The outstanding sport crag Laste is in fact a big plateau of limestone with a series of slot-canyon-like chimneys weaving through it. VF Sass de Rocia ascends these slots to reach the top of the tower. I got my fill of sport climbing in the morning, then the whole family did the VF at the end. Kate and Amelie heading up the first set of stemples on VF Sass de Rocia. You can see one of the route’s bridges in the upper left. VF Sass de Rocia was pure fun with zero approach and all the elevation gain spent on the wire. There were some wooden steps, several sets of metal rungs (aka “stemples”) and a couple of bridges. The round trip adventure took about an hour and culminated in a great view from the top of the broad tower. It is exactly the level of commitment you want for VF with young kids. From the top of the ladders, looking up at the first stemples and Kate on the first bridge of VF Sass de Rocia. Amelie and I descending VF Sass de Rocia. We saved the best for last, but not by design. VF Grotte di Volpera wasn’t described in any of my guidebooks or online. I figuratively stumbled upon it while researching sport climbing destinations. The Cortina tourism board put out a series of short videos touting the various sport crags around town. In one of these videos I spotted a fun-looking ropes course in the background, so with some sketchy approach information I wandered through the forest until I found the crag. Logan on a long section of stemples on VF Grotte di Volpera. The ropes course had been replaced by a proper VF, presumably installed by local guiding companies to introduce newbies to VF, because it was perfect for Logan. It had several sets of ladders, some exposed ledges, a slack line crossing and a “monkey bridge”, all zigzagging across the same small gorge, making the descent trivial. Logan had so much fun on it that he did the slack line 3 times, once as a zipline. As soon as we finished he asked if we could do it again. It was a great father-son experience and the perfect way to end our trip. Logan on his first trip across the VF Grotte di Volpera slackline. After this he went back across walking the line, and then back to me using the safety cable as a zipline. The VF Grotte di Volpera Monkey Bridge. This is the last obstacle before the easy descent path. All told, I can’t say the Dolomites are an ideal destination for kid-friendly Via Ferrata. To be fair, there were a few routes we were interested in that were inaccessible due to snow pack (if you are looking for more options in high season, others that sounded plausible and interesting include VF Grotta di Tofana, SA Galleria del Lagazuoi, & VF De Luca/Innerkofler, described in this post). On the bright side, we never ran into another VF party on any of the routes we did. Apparently crowding can be a big problem on VFs in high season, but not in May! Logan near the start of VF Grotte di Volpera. If kid-friendly VF were my primary consideration I would probably start with some of the newer VF setups in other parts of Europe (such as in the Haute Alpes of France, which, based on my research, appear geared more toward providing a fun and low-commitment experience for adventurers of all-ages). However, with some digging and careful selection it is possible to string together some great itineraries that kids will enjoy in the Dolomites. The impressive east face of Mt. Lefroy. The primary purpose of our short trip was to share this beautiful place with our kids and reacquaint ourselves with the range—the backdrop for many of our fondest adventures. After the Grand Sentinel day we took the kids to Lake Louise and up to the Plain of Six Glaciers. It ends just below the massive hanging glacier on the east face of Mt. Victoria, and the scenery was just plain spectacular. Near the end of the Plain of Six Glaciers hike. Lake Louise and the Chateau are visible at center. The hike was ~17km roundtrip, with ~2000 feet of elevation gain. Amelie did the entire hike without any assistance—easily the highest and longest hike she’s ever done (which got the wheels in my head spinning about options for higher objectives on future trips!) On the way back I got a chance to route-stare at the legendary “Back of the Lake” crag—a big cliff of super-high-quality quartzite, offering both sport and trad lines. At the turn-around point of the hike, with Abbott Pass to the left. The Abbott Pass hut is a popular jumping off point for the ascent of Mt. Victoria (the big broad glaciated peak on the right). Mt. Lefroy is left of the pass. Besides dragging our kids up a bunch of endless hikes, I also wanted to scope out the Bow Valley rock climbing scene, which has really exploded since I last visited. I had climbed at Back of the Lake a couple times, as well as Grassi Lakes, but that was it. There were now many lifetimes of new sport crags around Canmore and I wanted to get a feel for the options. Passing “Back of the Lake” on our way to the Plain of Six Glaciers. Once we returned from Lake Louise, I scoped out the hike to a new-ish crag called “Planet X.” The wall is super tall, apparently over 40m in places, with angular limestone fins reminiscent of Rifle, though generally not super steep—in other words, perfect for me! My favorite aspect of the cliff is that the approach passes some 20 other crags along the way, with a nice, non-threatening creek trickling along the base of most, which would make a great hang for the kids. The climbing itself looked fantastic too, and definitely worth many trips despite the somewhat heinous approach (“heinous approach” is a relative term—Canmore climbers are not at all deterred by 1-hour-plus, uphill approaches to sport crags, which is quite a contrast to the endless whining I hear from compatriots about the 20 minutes needed to reach crags like The Bunker or Aftermath.). We only had one day budgeted for sport climbing, so I chose not to spend it there, but certainly plan to climb there on future trips. Acephale is the angling band of limestone. This is typical of the last half of the approach. Steep and rocky! For our sport climbing day I decided to visit Acephale. This is a world-renowned crag, recently making its way back into the news thanks to Adam Ondra’s visit in July. With the promise of flawless, Euro-style limestone, I had wanted to check this crag out for a long time. The crux of the day was the approach, which was really easy to follow thanks to detailed instructions, but super long and involved for our weak Colorado legs. It took 70 minutes to get there, which was definitely a record for longest-approach-to-sport climbing-with-kids, and made for a very disappointing “rest day” for Logan and Amelie. However, it was well worth it! It took me a while to get warmed up to the style, but the climbing was phenomenal. It was easily the best limestone I’ve climbed in North America. Every route I did was excellent, although not always super fun, if that makes sense. 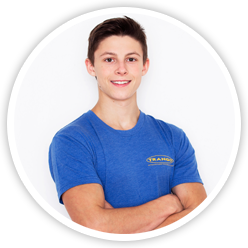 The rock is not terribly well-featured, which can result in really technical and sometimes insecure climbing, often on polished slopers. The rock is quite hard to read, making for difficult onsights but really engaging and rewarding redpoint climbing. Deal With It, 5.12c, Acephale. The more I climbed, the more familiar I became with the style and the more I liked the climbing. 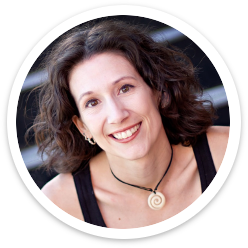 The movement involves lots of crimping, pinching, and thin footholds—all things I really enjoy. Highlights of the day were Where’s Mom and Last Dance, which is one of the best limestone 5.13s I’ve climbed in a long time (and I think my first Canadian 5.13!) I haven’t been this stoked about a crag in a while and I really look forward to returning and trying some of the harder lines. That night Jeff and his family had us over for dinner. It was a great time talking climbing and getting to know each other, highlighted by a delicious meal of home-made lasagna courtesy of Jeff’s charming wife Christa. Jeff and Christa also have a boy and a girl, a few years ahead of Logan and Amelie, but they all got along great despite the age differences. 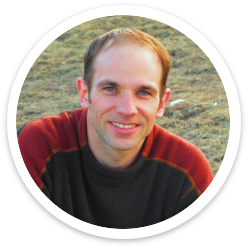 Jeff was an incredible host to us and I feel really fortunate to know him. After climbing Grand Sentinel, on the hike back up to Sentinel Pass we ran into a pair of young bucks from BC hoping to climb the tower. We talked about conditions and gear, and Jeff noticed they didn’t have any gloves, which we felt were critical to our success. He literally took the gloves off his hands and gave them to these young kids so they could have a shot at the spire—that’s the kind of guy he is. We tried to keep the next day “easy,” but that’s always tough when there are so many incredible things to see. We opted for Bow Glacier Falls, which is the source of the Bow River and about a 45-minute drive north of Lake Louise. The hike offered a nice mix of scenery, skirting Bow Lake, hiking through the flood plain of Bow Creek, and passing a nice little slot canyon before climbing up onto the Bow Glacier moraine. The hike ends in a big cirque with curtains of waterfalls, the coolest of which spring right out of the middle of the cliff. Investigating a short slot canyon along Bow Creek. The hike was uneventful until halfway through the return when we saw a wall of snow/rain mix heading our way and decided to hightail it back towards the car. We all got wet and cold but nothing a cup of hot chocolate from the Bow Lake Lodge couldn’t solve. On the final day we did a relatively quick hike up Johnston Canyon, which was the only let down of the trip. The hike is unbelievably crowded with tourists, and even on a frigid Tuesday morning in September it was rather spoiled. Fortunately once you pass the falls the crowds thin out significantly, culminating in a gorgeous view at the “Ink Pots”—springs of water bubbling up from the ground—with jagged, snow-capped peaks in the background. At the “ink pots”–natural springs that feed into Johnston Creek. The highlight for Logan was stopping at the Calgary Olympic Park on the way back to the airport to experience their version of an Alpine Slide. This one was unique in our experience (having done Alpine Slides all over Colorado, and in Italy and Germany), because you aren’t confined to a narrow track that directs the sled. Instead each driver gets to steer their cart down a 12-foot-wide, curbed concrete road that winds down the hill. Logan thought it was the best Alpine Slide he’s done. I think the Rodelbahn’s in Germany are also in the conversation, but that was 4 years ago so I doubt Logan remembers them. The alpine slide at the Calgary Olympic Park. The side rails seen here are only to corral the sled at the end of the run. The track itself is about 12′ wide, allowing for lots of maneuvering and passing of slower riders. Also visible in the background is the Olympic Ski Jump. 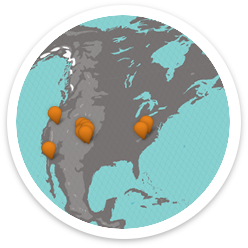 We’ve seen 4 of these–in Salt Lake, Garmisch (Germany), Cortina (Italy) and here. All told it was an incredible whirlwind trip! I reckon the kids hiked almost 40 miles in five days, and it felt like we crammed the best parts of a typical two-week vacation into one long weekend. We are most stoked about how well the kids did. They’ve never hiked so much or handled it so well. For years I’ve been telling Logan if you want to do cool stuff you have to be willing to do a little more work to make it happen, and it finally seems like he’s starting to understand that. He kept saying how much he loved Canada and wanted to live in Canmore. We are really excited to return and explore more of this unparalleled region. Now that we know how quick and easy it is to visit we expect to return often. 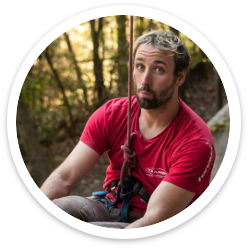 A few weeks ago I had the pleasure of meeting long-time climber and developer of the Sloper Climbing App Jeff Moore. 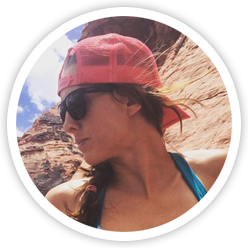 The Sloper Climbing App is the next big thing in smart phone climbing tech. 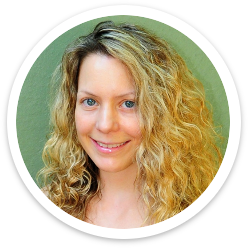 It’s definitely worth checking out, but that’s not what this post is about. 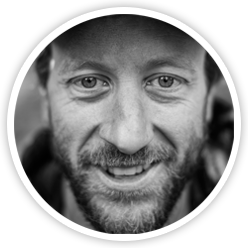 Jeff lives in Canmore, Alberta, the epicenter of Canadian climbing. He visited Denver recently and I mentioned to him how much Kate & I love the Canadian Rockies and longed to visit. As kids, Mike and I traveled there several times on family road trips, and between 2001-2004 I made three climbing trips to the area, but sadly I haven’t been back since then. It seems like every year Kate & I would make vague plans to return to Canada, and every year some other trip would take its place. Amelie and me, with my new friend Jeff Moore on the right. Jeff mentioned cheap airfare from Denver to Calgary, which I relayed to Kate off-hand. She took it seriously and started making plans for Labor Day weekend. I had to re-work my training schedule a bit, but within 24 hours she had the trip booked, commencing only 4 days later! That’s some seriously alpine-style trip-planning by Kate. After a two-and-a-half hour direct flight and an hour of driving we were in Canmore. Above Lake Louise, with Mt. Aberdeen, Mt. Lefroy and Mt. Victoria. Kate offered to hang with the kids the first day so I could climb something with Jeff. I knew immediately what I wanted to climb. My previous forays to the Canadian Rockies all revolved around alpine climbing—ascending the big peaks, by various routes. During those trips I climbed Mt. Temple twice, by the classic East Ridge, and the neo-classic Greenwood-Locke route on the imposing North Face. Both routes descend the southwest ridge of the mountain, returning to Sentinel Pass and then down through the Valley of Ten Peaks to Moraine Lake. Mike following high on the North Face of Mt. Temple in 2003. Just on the other side of Sentinel Pass stands an incredible spire of teetering quartzite dubbed the Grand Sentinel. This is surely one of the great rock towers of the world, and I would know. There are others that are skinnier (height relative to width at the base), but considering its position, the environment in which it stands, and the quality of rock in these mountains, its truly incredible this finger of stacked choss is still standing. The fact I had climbed and descended Mt Temple twice meant that I had passed this remarkable feature twice, gazed upon it in awe twice, and longed desperately to climb it ever since! Light shining through the upper 15 meters of the Grand Sentinel illustrates just how precarious this spire is. We rolled out of Canmore just before 5am, anxious to beat the holiday-weekend crowds to this uber-classic route. The parking lot was already swarming with cars when we arrived just after 6, well-before dawn. Anxiously we raced up the brutal approach trail by headlamp, up and into Larch Valley. The area was experiencing unseasonably cool and wet weather, which must have dissuaded other suitors because we arrived at the icy pass totally alone. On the approach, looking back toward Moraine Lake and the Valley of Ten Peaks from just below Sentinel Pass. Note all the white stuff…in August! The tower was every bit as staggering as I remembered. We picked our way down the snow-covered talus on the north side of the pass and made our way to the base of Grand Sentinel. The weather was absolutely not what either of us had expected—Sub-freezing with persistent wind and the ever-present threat of more precipitation—in August! The ominous view to the north from Sentinel Pass, just after sunrise. Jeff and I had only recently met and never climbed together, so neither was sure what the other was thinking. We kept asking every 5 minutes or so, “Are you still psyched?” The answer was always yes. Both routes can be easily rapped, and we brought gear for either option, we had raincoats, so we figured we would keep going until we reached an impasse. Personally, I was brimming with stoke. I wanted to climb this thing desperately, and if the experience itself was miserable, I figured that would only make it that much more memorable. Plus I felt like I had to represent for Colorado—show our friendly neighbors to the north that we can handle a little bit of bad weather. Grand Sentinel from the little pass just south of the base of the tower. The classic “South Face” route follows the obvious dihedral system at center. Fortunately the wind was relatively calm huddled in the col below the south face. We chose to go for the Cardiac Arete. Ascending the SE prow of the tower, the arete is certainly more exposed to the elements, but also a much better-looking line (and much better quality, according to Jeff). We racked up and donned every bit of clothes in our packs. Jeff cruised up the first pitch, only stopping to shake blood back into his fingers periodically. Cardiac Arete pretty much follows the right skyline, with a few excursions onto the (hidden) east face. The first pitch is pretty much an endless series of horizontal breaks, offering big jugs, with the occasional long reach between them. A small roof at mid-height is the crux. Jeff commented often about the cold rock, but it didn’t seem to slow him down much. I brazenly reasoned all my years of climbing in Clear Creek through the winter had me well-prepared, and grew eager to show my Canadian friend how it’s done. Jeff cranking over the crux roof on the first pitch. I followed the 1st pitch in full-on sprint mode, figuring I could stave off numbing by minimizing my time on the rock. At the belay I re-racked the draws and then went right into leading the 2nd pitch. This pitch was much different, starting up the south face with some fingery face climbing on incredible rock, then turning the arête to the east face for some more intricate face climbing. Jeff cruising the second pitch. By the time I turned the arête I was completely numb, more so than I can ever remember. It’s pretty typical for my fingers to numb out on the first cold day of each winter season, but often it’s only my finger tips and rarely an entire finger. On this pitch my entire HANDS were numb, from the wrist up! It was like climbing with clubs. I thumped my hands against the rock and felt absolutely nothing. It was like my hands were gone. I could see them, but that was the only feedback I had that they were still there. Jeff on the second pitch. This last stretch to the belay was desperate for my frozen hands! To make matters worse, I was short on draws and had to skip a couple bolts at the end. I wanted to shout “Take” sooo badly, but again, I had to represent for Colorado, so I sucked it up and tried to pull through. I would grab a hold, have no idea how big the hold was, if I had it well, or if I had the strength to pull on it, and just crank up towards the next one and repeat. It was the strangest feeling—like watching someone else climb. At each move I half-expected to pitch off into the void, but fortunately the holds were big enough to scrape through. It was easily my most desperate 5.10 lead of the last decade! The view from the top of the second pitch into Paradise Valley. The big broad peak is Mt. Aberdeen. Finally I reached the luxurious ledge atop the 2nd pitch. I mumbled to Jeff that I needed a minute, curled into the fetal position, and experienced the worst case of the screaming barfies I can remember. After a minute or so of agony I could feel the blood coursing back into my hands. Within a couple minutes they were back to normal and I was good to go for the rest of the climb. Jeff came up quickly and offered to let me lead the rest of the route since he had previously led all the pitches. I happily agreed and set off for #3. Starting up the third pitch. Note the puffy! Photo Jeff Moore. The third pitch is relatively straightforward except for a big roof in the middle. This obstacle is awkward and scrunchy, but ends in killer jugs, once you can reach them. I hesitated a bit, unsure how to tackle it, but eventually unlocked the sequence. The fourth pitch was hands-down the best. It climbs right on the arête the entire way, often using the arête as a hold. The exposure and setting are spectacular, and it offers a tricky crux just below the summit. It’s one of those sequences that is at first perplexing, and so that much more rewarding once you figure it out. Starting up the premier fourth pitch. Photo Jeff Moore. I cruised up the slightly chossy last few feet (despite appearances, the only bit of poor rock on the climb) and balanced my way up onto the summit block. The views were spectacular, despite the sub-par weather. The route was truly fantastic, with excellent rock throughout and engaging climbing, surpassed only by the incredible setting. The stone is really varied and so is the movement, with each pitch offering something unique. It’s truly a world class route at the grade. Jeff on the summit (that lump of rock to the left is another formation west of Grand Sentinel. One of the most common questions I get is whether or not I am still able to enjoy “easy” climbs. Absolutely! I just plain love climbing, and I love it at any grade. Certainly, more difficult things can be more engaging and offer a bit more to sink my teeth into, but I will always love being in the wild, moving over stone, in whatever capacity the day has to offer. This was an incredible day in the mountains, up a stellar route, on a spectacular feature, with a great new friend. I couldn’t have asked for anything better. Rigging the first rappel from the top of the fourth pitch, just a few feet below the summit of Grand Sentinel. We made the descent without any issues and worked slowly back up to the pass. For one brief moment the sun peeked through the clouds to shed a glimmer of warming light onto the Grand Sentinel. It would have been nice to see the sun while we were climbing, but we were happy to have the tower the way we did—with the entire valley to ourselves and an unforgettable experience to go along with the tick. Also, we saw a Gorilla (the North Face of Mt. Fay). Just below the south side of the pass I was stunned to meet Kate, Logan and Amelie hiking up. This was easily the hardest hike Logan or Amelie had every attempted, and considering the weather I was certain they would have bailed. Kate and Logan continued to Sentinel Pass while Jeff and I continued down with Amelie. A couple hours later we all rendezvoused at the Moraine Lake Lodge for a well-earned cup of hot chocolate. Isn’t it fun when you run into someone you know? Kate and Logan just below Sentinel Pass. My little geologist Amelie collecting rocks at Moraine Lake. As we wandered over the many passes and marveled at the gob smacking peaks of the Dolomites, I definitely got “the itch” to climb something big. 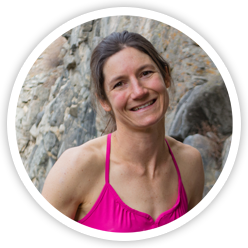 I’ve become a true sport climber over the last decade, especially since my kids arrived, but it hasn’t always been that way. I was first drawn to climbing by a love of the mountains and a desire to stand on top of the snow-capped volcanos I could see from my childhood home. That led to many adventures on the big walls of Yosemite, the alpine peaks of the Canadian Rockies, North Cascades and more remote areas of Alaska and Canada. The Tre Cime di Lavaredo from the VF De Luca/Innerkofler tunnels. From left to right: Cima Piccola, Cima Grande, and Cima Ovest. Also known as the “Drei Zinnen” (in German). 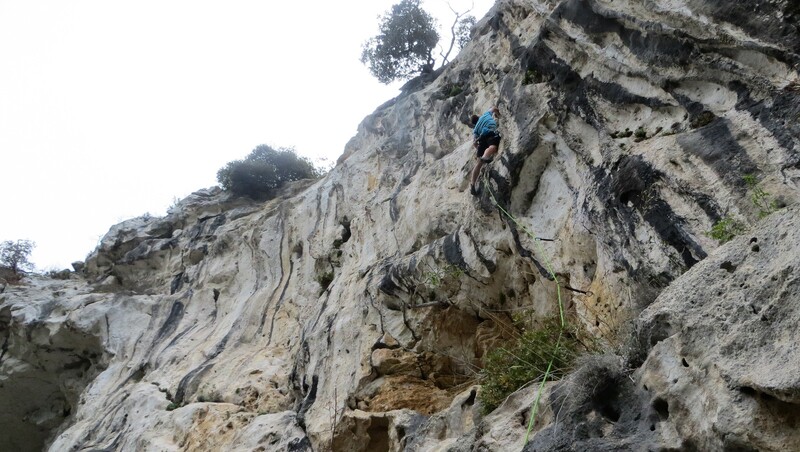 I wasn’t prepared to do any proper multi-pitch climbing, nor was I interested in ditching the family for an entire day, but the Via Ferrate offered the opportunity to do something that would normally require a partner and a long day in just a couple of hours. Hands-down my favorite day in the Dolomites was the day we explored the Tre Cime di Lavaredo. 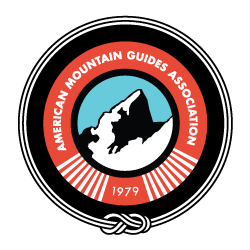 These “three summits” are notorious among adventure climbers, and have figured notably in the history of alpinism across many decades. Cima Grande, the central and tallest of the trio, was the first to acquire notoriety with Emilio Comici’s 1933 ascent of its North Face, which is now regarded as one of the six “Great North Faces” of the Alps (along with the north faces of the Eiger, Matterhon, Dru, Grandes Jorasses & Piz Badile). The incomparable Walter Bonatti left his mark in February 1953 with back-to-back winter ascents of the Cima Ovest and Cima Grande. In 2001, gymnastic free-climbing took center stage on Cima Ovest when Alex Huber established his gob-smacking roof climb Bellavista (5.14a) , followed by Pan Aroma (5.14b) in 2007. More recently, the peaks featured briefly in Solo: A Star Wars Story. Early on the trail to Rifugio Lavaredo. We had a big day planned with lots of hiking, exploring, and some Via Ferrata. We arrived at Rifugio Auronzo at sunrise and struck out for the Rifugio Lavaredo and the Forcella Lavaredo pass just above. The trail winds around the unremarkable southern sides of the Tre Cime, and is more like a graded road with a few patches of snow here and there. Some liability-minded authority had barricaded the road with a small hand-written sign that warned: “Danger Street.” Fortunately I thought to bring an ice axe and helmets for all, so we were pretty much prepared for anything (ironically, on the return hike a washing machine-sized boulder spontaneously cut loose from the steep scree slope above and tore through the “danger street” only a few hundred yards in front of us—fortunately Kate thought to yell “ROCK!” and nobody was hurt). The “Danger Street” warning sign. We made quick progress to the pass where we got our first clear view of the north faces, and they were incredible! We hung out for a while snapping pictures and assessing the snowpack. Our ambitious “Plan A” was to complete the VF De Luca/Innerkofler. This uber-classic route cuts along, over, and through the Tre Cime-adjacent Monte Paterno (thanks to a series of war-time tunnels and lots of wire). Monte Paterno, just left of center, from Forcella Lavaredo. The Rifugio Locatelli is barely visible on the left. The standard approach is to traverse the west slope of the mountain to the Rifugio Tre Cime-Locatelli, then clip into the wire for the return trip over and through the mountain. This slope, and pretty much the entire basin below the Tre Cime, was packed with snow, so we ditched Plan A. The usual exit route from Monte Paterno was only a few hundred yards from where we sat, so we roped up, strapped on our helmets, and set off to do the route in reverse, out-and-back. The Tre Cime in profile, from the start of the VF DL/I tunnel system. In one of the tunnels on VF DL/I. The route is immediately interesting with a 50-foot stretch of dark tunnel (and in this case, somewhat snow-packed, with an icy floor and wet, dripping roof). The tunnel ends with long stretches of exposed ledges that were carved in the rock. We snaked around several ridges until we were stopped cold by a couloir filled with snow. We decided this was a good spot for the kids to turn around, but Kate generously encouraged me to continue. On the wire after the first tunnel section. Kate and the kids at the exit of a short tunnel (in the lower left). The snowfield to the left is actually part of a snow-filled couloir that forced them to turn around. Beyond the couloir the terrain eased again, then turned the ridge to the east side which was spectacularly bathed in morning sun. I made quick progress until I came across a big steep snowfield several-hundred feet high. It was pretty hard to follow the path at this point (and impossible to clip in since the cable was buried), so I just front-pointed straight up the slope using my icetool and surprisingly-effective hiking shoes with “ice cleats”. Eventually I topped out the snowfield and got a nice view down the northern slope to Rifugio Tre Cime-Locatelli, which, predictably, was even more snowy! There was no way we could have completed the loop-route as planned in these conditions. However, if not for the snow, I think the kids would’ve had a good shot of making the summit, at least as an Out-and-Back the way I did it. The climbing is loose in places but never very difficult and the vertical-ish sections are only a few feet long. From the col, it was only a couple hundred feet of snow-free climbing to the glorious summit. The views of the Tre Cime were phenomenal—it’s the perfect vantage point to admire these legendary north walls. I snapped a couple pics then hustled back down the route, even enjoying some glissading on the way down. The Tre Cime from the summit of Monte Paterno. When I returned to Forcella Lavaredo the family was gone, but I could make them out at the Lavaredo Hut a few hundred feet below. By then the place was teeming with tourists, a stark contrast to the solitude we enjoyed at 6am. I wasn’t ready to return there quite yet—I still wanted to get a climber’s view of the big north faces, especially the massive roofs of Cima Ovest. The Tre Cime from Forcella Lavaredo. Half-running, I traversed rapidly across the snow-covered slope. Like most big walls, they weren’t quite as intimidating from directly below, but I was stunned by the poor quality of rock. Cima Grande in particular was a spider web of fractures, towering like a brick skyscraper without any mortar. I could see how face climbing on this wall could be both unlimited and terrifying at the same time. There’s a neo-classic 8a free climb on the left side of this wall that I can only imagine would be mentally ravaging. On the right side, the classic lines of the Comici route and its variations weaved between ledges, linking weakness to reach a massive and drenched chimney. Physically, it was easy to see how a route here was possible, but it was hard to imagine venturing up on such a face with 1930’s-era equipment and techniques. Even with modern equipment, I cannot honestly say the route looked appealing. Still, I’d love to do it someday, with a Gore-tex jacket! Looking up at the North Face of Cima Grande, from the couloir between Cima Grande and Cima Ovest. The classic Comici route roughly follows the series of gray/black ledges, up into the long, wet black streaks. The toe of Cima Ovest’s north face is a couple hundred feet lower than that of Cima Grande, and figuring the kids must have been getting restless, I stopped short of traversing all the way to its base. From the couloir between the two peaks I had a nice profile view of the big roof of Bellavista, and it looked spectacular. This wall is also known for poor rock quality, but from this vantage point it looked significantly better than the stone on Cima Grande. I could only imagine what it would feel like to pull into the roof, some 50m out from the toe of the wall, and a couple hundred meters off the deck. Nothing else compares to it in the world, and someday I have to figure out a way to try one of these routes. If there is a key take-away from my time in the Dolomites, it’s that I have to go back! This is not the sort of place that can be absorbed in just two weeks. For the time being there are other places to explore, but I will definitely return here, in the fall, with a rack on my back and adventure in mind. Now that I had figured out which characteristics to look for in Dolomite sport crags I was much more psyched for the upcoming crag days. One crag that piqued my interest is called “Rio Gere” and was merely 4 Km from our Condo in Cortina. Though the book raved about it, a quick recon of the area left me skeptical. Rio Gere–a massive boulder in the forest just east of Cortina. The cliff is a mixture of yellow, fractured stone and (at that time) heavily seeping pocketed flowstone. Since I was unsure of its quality, I left it for the afternoon of a big hiking day when I was already tired. I began the session with the old strategy of climbing the dry yellow stone, which went as expected—I sent everything, but felt dirty afterwards. I decided I would have more fun slipping out of muddy water-sculpted pockets than teetering up dusty choss, so I climbed a set of flowstone lines that all turned out to be incredible, despite the mud. Climbing rad (but muddy) flowstone pockets on Che Pizza, 7b+, Rio Gere. I also learned that by taking my grade down a few notches I could pretty much climb through a shower head without falling, and when I clipped the chains I felt a real sense of accomplishment. There was no question—I was having more fun climbing the best rock, even if it was wet. That made the choice of the next crag obvious. Easily my favorite crag of the trip was Beco d’Ajal—a group of massive boulders just outside of Cortina. Of the crags I visited, this is the other contender for “best sport crag in the dolomites,” and really, the distinction would depend heavily on taste. While Laste is more of a vertical technician’s dream, Beco d’Ajal is all about the steep overhanging pockets. The best comparison I can think of is Sector Cascade at Ceuse. Though not as tall as Ceuse, the cliffs are completely covered in sculpted flowstone jugs. For our last day we were all pretty tuckered out, so I selected a cliff with a short drive and even shorter Approach. Crepe de Oucera (Alti) was not quite up to the level of the previous three crags, but it was really good. It’s a favorite of the Cortina locals thanks to its short approach and southern aspect. The climbing here is generally near-vertical with lots of pockets, reminding me of the more pocketed rock at Sinks or the less-featured walls at Ten Sleep. This felt like a more traditional European crag with easy access, well-worn stone and lots of options. Though only one route really blew me away (a 12b called Cuba Libre), it was refreshing to climb some high quality dry rock for a change. 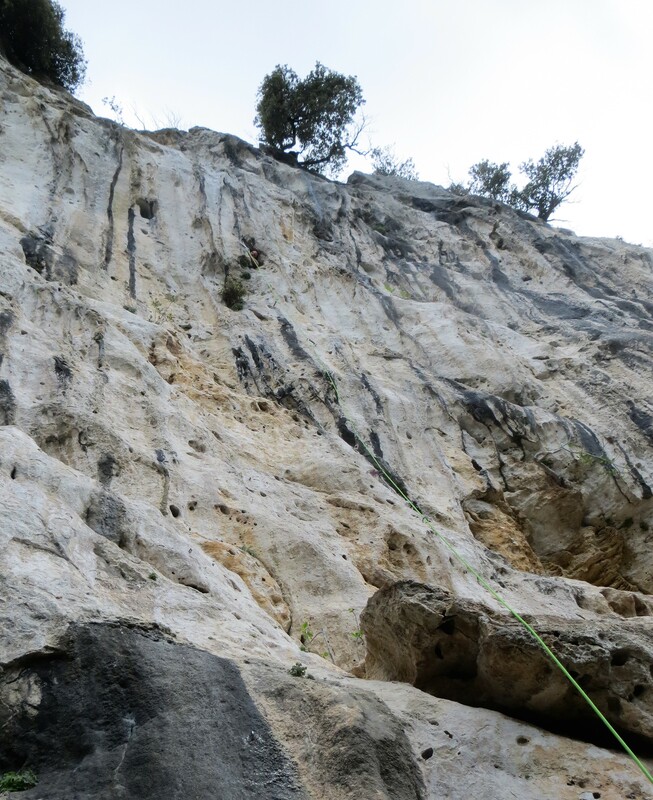 White Line, 6c+, Crepe de Oucera. All told, I really enjoyed the sport climbing. Given the amount of rock and variety I think it’s a very worthy destination for sport climbers, certainly worth considering for those looking for a holistic vacation with options for other adventure-oriented activities. That said, try to visit in the Fall when the rock is presumably less wet! Coming Soon: more non-sport-climbing adventures in the Dolomites! Despite its staggering collection of world-class, bolted multi-pitch lines, the Dolomites aren’t known for sport climbing. In fact I’d argue the sport climbing in the Dolomites is pretty much completely unknown, evidenced by the heck of a time I had finding information about it when I first set out. 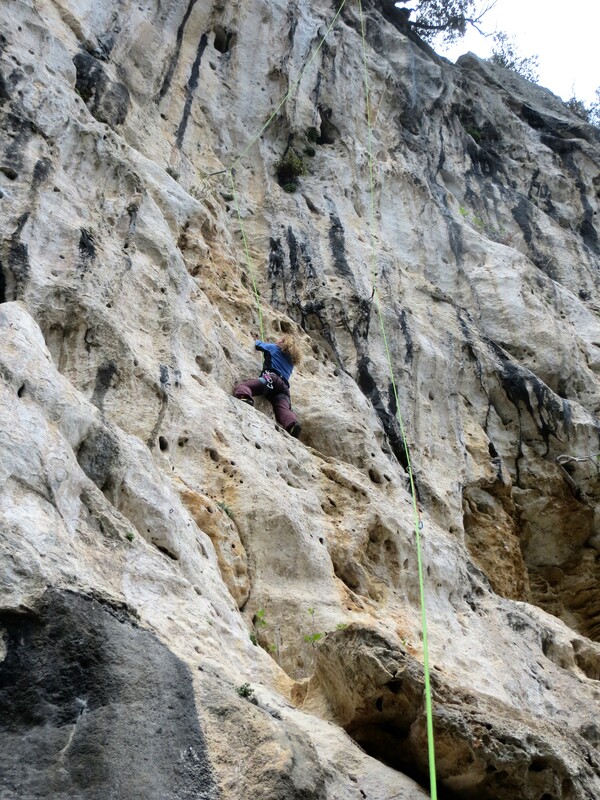 But I knew a range of thousands of (essentially) limestone peaks had to have a few killer sport crags sprinkled about. It was just a matter of uncovering them. As I suspected, they were there in abundance. Once I found them, the challenge was wading through the endless possibilities to identify the most-worthy crags. Rope-swing at Salares, with Passo Valparola on the right. After scouring the internet, I collected a couple guidebooks. The Rockfax guide claims to be a combined Trad, VF and Sport guide. This book is absolutely stunning, and I recommend it to any climber visiting the Dolomites, for general orientation if nothing else. However, it is NOT a sport climbing guide. It only includes a handful of over-used crags, none of which seemed particularly appealing. I ended up using “Sportclimbing in the Dolomites” by Vertical Life. This book is short on details but provides the bare minimum needed to visit more than 50 distinct crags of all varieties, with text provided in three languages including English. Prepping the photoshoot at Salares. The cliffs of Val Badia are off to the left. In the end we visited six different crags. I’d like to say we saw the best in the area, but it’s hard to know for sure when there are so many options. We arrived the last week of May, which is definitely early-season, and the biggest downside of this was that many of the best crags were seeping. In fact, all of the best crags were seeping. I dare say all of the best routes at all of the best crags were seeping! If you want to visit the Dolomites primarily for sport climbing, I’d guess early Fall is the best time to go, but we had to make the best of our window. 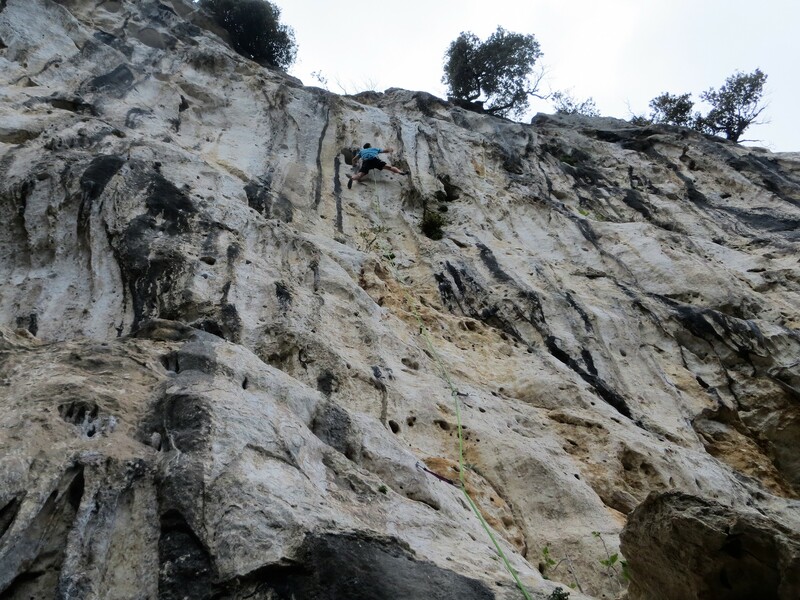 La Chica Bonita, 7a+, Salares. Salares was a distinct improvement, but I quickly noticed a pattern—the dry yellow stone tended to be heavily fractured. I mean egregiously fractured! In fairness, I never broke any key holds, but it was unnerving to be constantly teetering on what appeared to be vertically stacked rubble. It certainly made me think twice about the alpine rock routes. The saving grace of Salares was the incredible view of Val Badia off to the left and an exciting rope swing. So after two days of disappointing rock, I decided we would go for what looked like the best stone, and just deal with whatever wetness we encountered. This turned out to be a great compromise. We turned our attention to an incredible table-top of limestone below the Marmolada called Laste. Laste is in the discussion for “best sport crag in the dolomites.” The setting is idyllic, with stunning views of the north face of the Civetta, among rolling hills of lush green grass. The rock is excellent but…weird. It’s very reminiscent of the lower left cliff at Rifle’s Anti Phil Wall. The holds are generally angular pinch fins, with lots of underclinging and sidepulls, a few pockets and only rare horizontal edges. 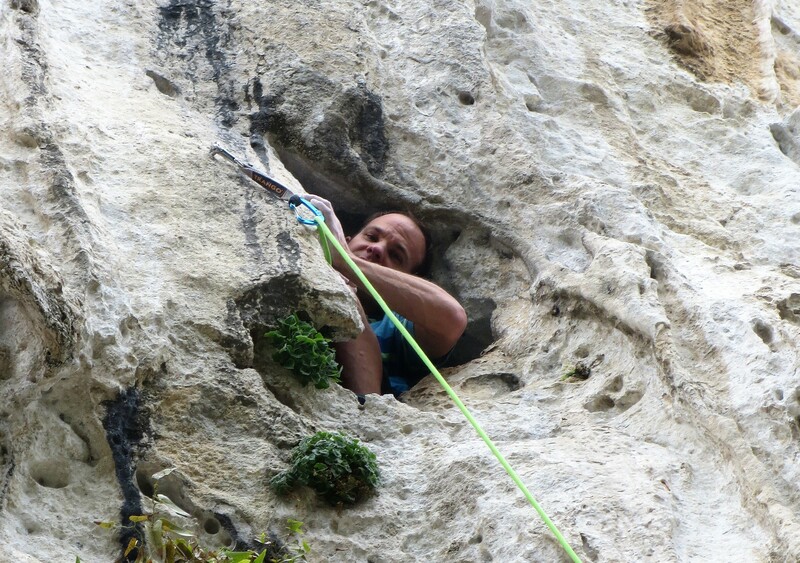 Trippa per Gatti, 7a+, Laste. The rock quality was flawless, though spider-webby in spots due to lack of traffic (I even found a mini-scorpion in one pocket). The stone is very light grey making chalk virtually invisible and onsighting incredibly challenging. The west wall of the formation was pretty-much completely dry and the climbing here was phenomenal. All the routes were long, sustained, cerebral and rewarding. I really felt like I accomplished something every time I clipped the chains at Laste. This was also one of the only crags where we encountered other climbers, on a weekday no less, surely a sign of its quality. It took three days, but I felt like I finally figured out how to pick the crags. We still had most of the trip in front of us and now that I knew what to look for, I was really excited to check out some more incredible-looking dolomite crags…. Picnicing at the Laste parking lot, with the north face of the Civetta in the distance. Hiking the alpine meadows below the Odle Group. The Dolomites are a jagged range of mountains in North-Eastern Italy, immediately south of the Austrian border. The range is composed of a form of limestone called dolomite (also found throughout Wyoming, at crags like Sinks Canyon and Wild Iris). The rock is heavily featured, and at times heavily fractured, providing unusual challenges for climbers and incredibly dramatic landscapes for sightseers. The Tre Cime (R) and Monte Paterno (L). To climbers, the Dolomites are renowned for their long, dramatic alpine rock routes. The range is home to countless long classics, including one of the six “Great North Faces of the Alps” (the Comici Route on the north face of the Cima Grande). Reinhold Messner maintains they are the most beautiful mountains in the world—“each mountain in the range is like a piece of art.” After spending a couple weeks there with my family last month, it’s hard to disagree. On the trail to the Tre Cime, with the Cadini di Misurina group behind. Lago Sorapiss and the Dito di Dio spire. There are so many ways to enjoy these mountains, its hard to know where to start. We wanted to do some sport climbing, some via ferrate (more on these subjects in the coming weeks), but mostly we wanted to explore the incredible and complex landscape. For basecamp we chose the vibrant village of Cortina D’Ampezzo. This is a quintessential ski town complete with designer fashions and exorbitant prices (though to be fair, it’s not as bad as Aspen!) It even hosted the Winter Olympics in 1956. It’s got all the essentials (except a pool) and is ideally centered between several legendary climbing attractions. 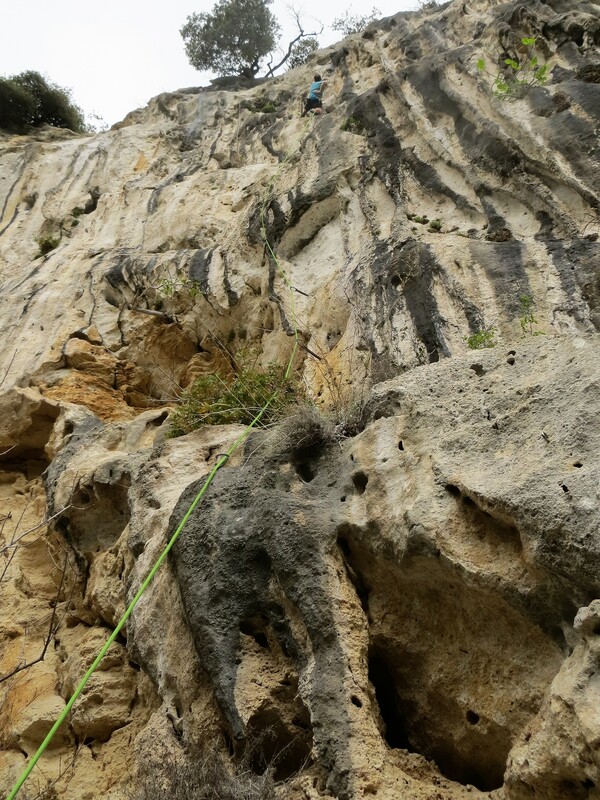 Exploring the Cinque Torri, a historic climbing crag. The Col dei Bos can be seen in the distance. Kate near the summit of Lagazuoi Piccolo, with Tofana di Rozes behind. The weather in the Dolomites is incredibly consistent—it rains every day! However, in our experience the mornings were dependably awesome, usually bluebird, with clouds beginning to form around mid-day, culminating in relatively brief-but-violent thunderstorms. We never lost a day to weather, though we did postpone an activity when we awoke to threatening clouds. A typical day for us began with a dawn start, 5-7 hours of some climbing, via ferrata or hiking adventure, followed by a few hours siesta while the rain passed, then another short hike, etc and a visit to town for well-deserved gelato. Logan on the exposed trail to the Sorapiss Group. Amelie in the Odle Group, with Sassolungo obscured by clouds. A well-maintained network of roads and cable cars makes it easy to explore, even with small kids (though the cable cars can be pricey). We were there in early season, so many lifts were not operating, and many via ferrate were impassable, but we found plenty to do for two weeks and grew to appreciate the relative solitude once the first wave of summer crowds arrived on the last weekend of our trip. Misurina, with the Sorapiss Group behind. The Haunold “Funbob.” No relation to Alex? The kids did a great job of putting up with our insatiable desire to hike and climb. It was the most fun we’ve ever had on a vacation, but also the most exhausted we’ve been at the end. There always seemed to be one more hike, one more mountain pass, one more lake worth visiting. The only thing we failed to find was a good time to rest. Despite that, it feels like we barely scratched the surface of this marvelous place. I’m eager to go back once the kids are big enough to share a rope with me up one of the many towering alpine walls. Admiring the Sella Towers from Sella Pass. 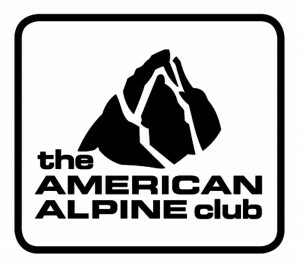 On January 17th, the Boulder Rock Club hosted a panel discussion on training. 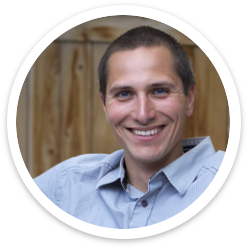 The panel included myself, renowned climbing coach Justen Sjong, Chiropractor & Physio Dr. Brent Apgar, double-digit boulder and author Peter Beal and Physical Therapist Dr. Stacy Soapmann. It was a really fun and informative event. We fielded questions submitted online as well as questions from the live audience. The discussion was pretty lively and lasted a good 90 minutes. I hope you find some of this useful, or at least entertaining. Thanks to everyone who participated in the panel, all the attendees, the BRC for hosting, Tara Gee for moderating and especially Brent Apgar, Aubrey Wingo and Mark Dixon for organizing. You may have heard something about a Total Solar Eclipse last week. 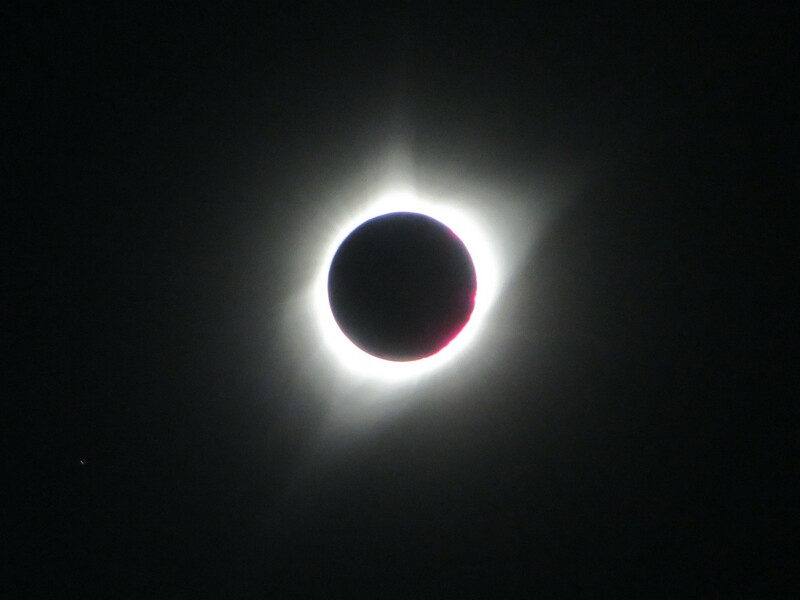 Since we were only about a 3-hour drive from the path of totality, we took the rare opportunity to see it in person. We chose to head into western Nebraska, figuring it might be slightly less congested than Wyoming. 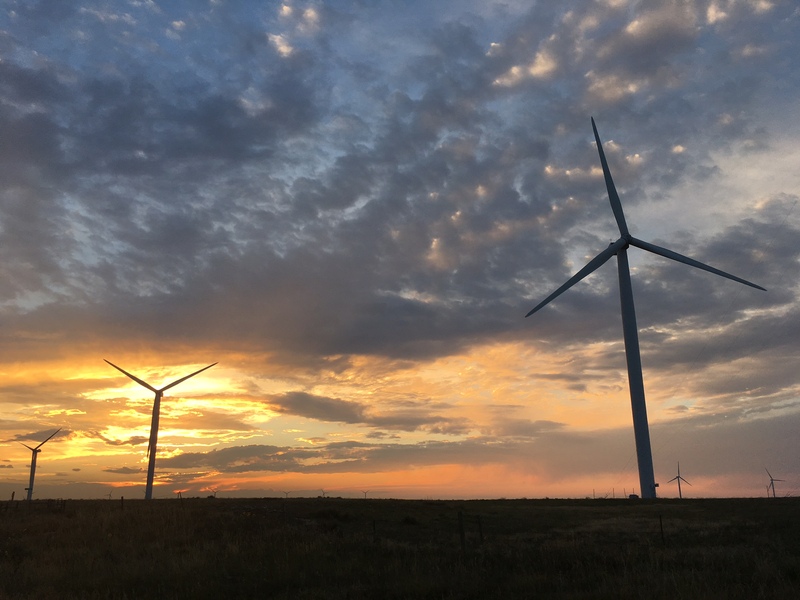 We drove up Sunday night and camped in the Pawnee National Grasslands right on the Colorado border, and immediately below a massive array of wind turbines. Wind Turbines in Pawnee National Grasslands. The next morning we woke up just before dawn and continued north. We didn’t have an exact destination in mind, but aimed for the general vicinity of Scottsbluff, a small town about 15 miles east of the Wyoming border and ~50 miles north of the Colorado border. The town is so-named for a large rock tower (Scott’s Bluff), that was a major landmark on the Oregon Trail. 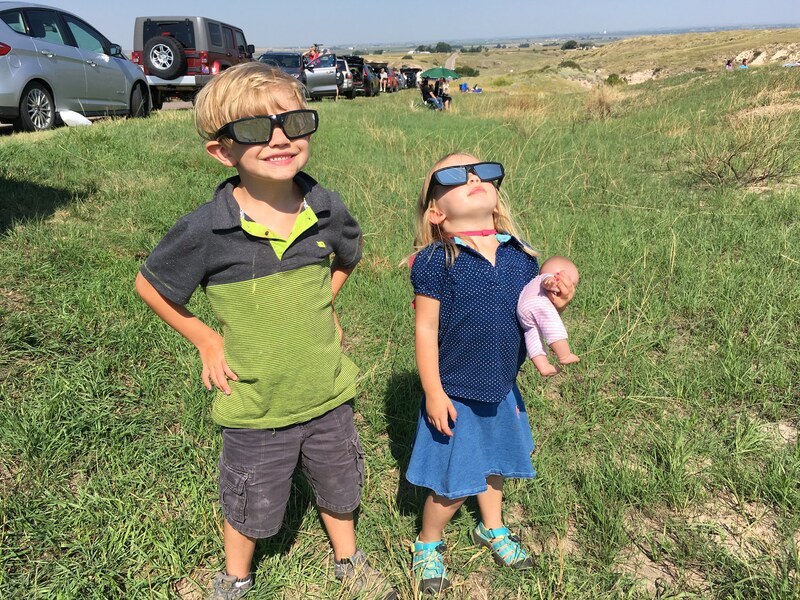 In the end we wound up parking and observing the eclipse right along the original Oregon Trail. It was serendipitous for someone who 1) grew up in Oregon and 2) considers himself to be a member and strong proponent of the “Oregon Trail Generation” — wedged tightly between Gen X and Millennial (if you played the Oregon Trail computer game as a kid, you too might be a member of the Oregon Trail Generation). 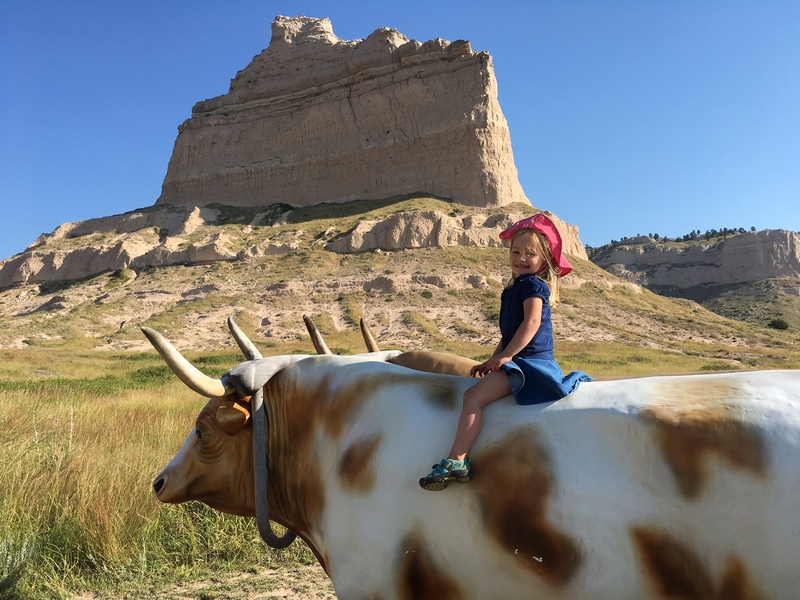 Amelie driving the wagon train below Scott’s Bluff. By the time we arrived and located the perfect viewing spot we still had about 3 hours to kill before anything interesting happened (reports of Carmageddon-style traffic were greatly exaggerated in our experience). We took the opportunity to educate the kids about the pioneers with lots of help from the Scott’s Bluff National Monument Visitor’s Center. The kids really enjoyed checking out the covered wagons and climbing on the life-size Oxen statues. Before we knew it, the partial eclipse was underway. Without eclipse glasses most of the partial eclipse would be hard to notice. However, once the sun was obscured to a small sliver the temperature and light dropped noticeably. 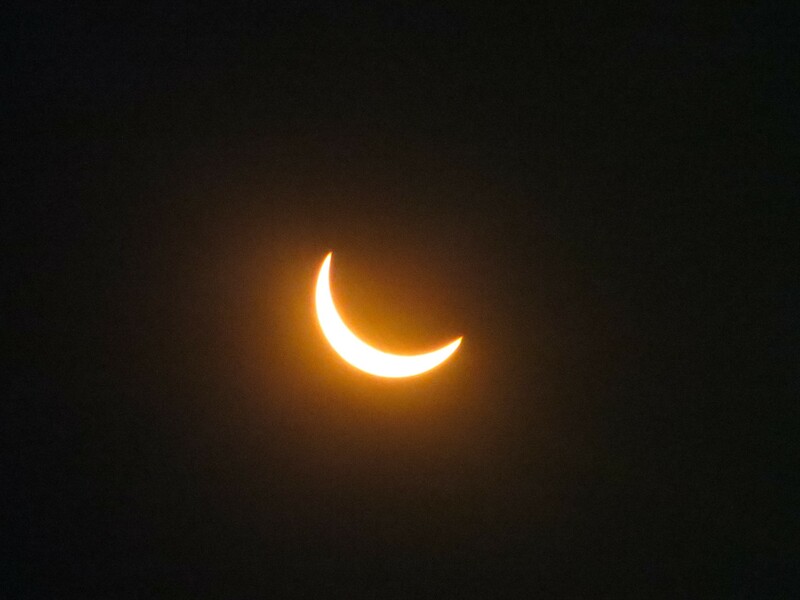 I spent most of the hour-long partial eclipse attempting to get a few halfway presentable photos with my point-and-shoot camera (which I did by precariously hovering one lens of my eclipse glasses over the camera shutter). 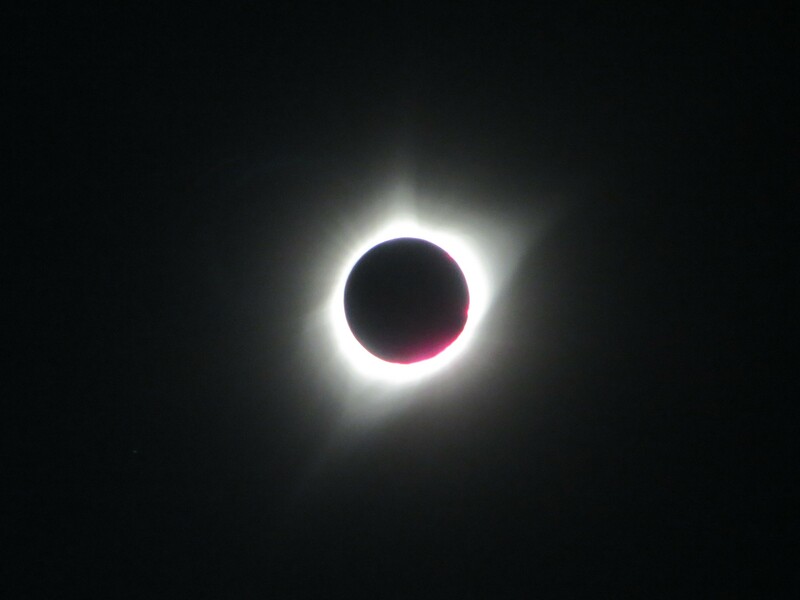 After an endless wait, finally the total eclipse arrived. It was incredible! The atmosphere was electric and otherworldly. The sky was nearly dark, like late twilight, and a few bright stars were visible. The highlight was observing the ring of light emanating from behind the moon. The light was brilliant white; dazzling and spectacular in every respect. 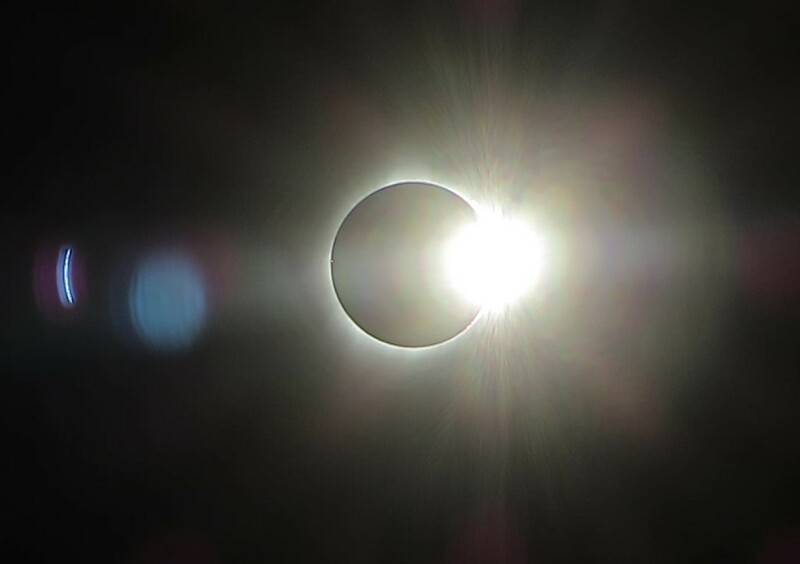 The first stage of the total eclipse begins with a “Diamond Ring”, in which the sun is almost totally obscured, you can see a thin white line around most of the moon’s circumference, and a brilliant, blinding light on one side. 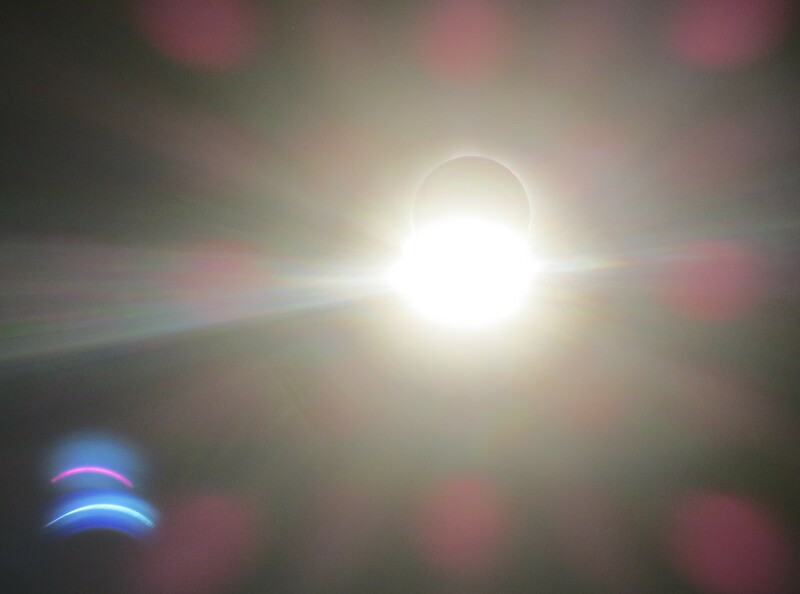 This was incredible and my favor part of the eclipse. The Diamond Ring. You can also see a small Baily’s Bead on the left side of the ring. 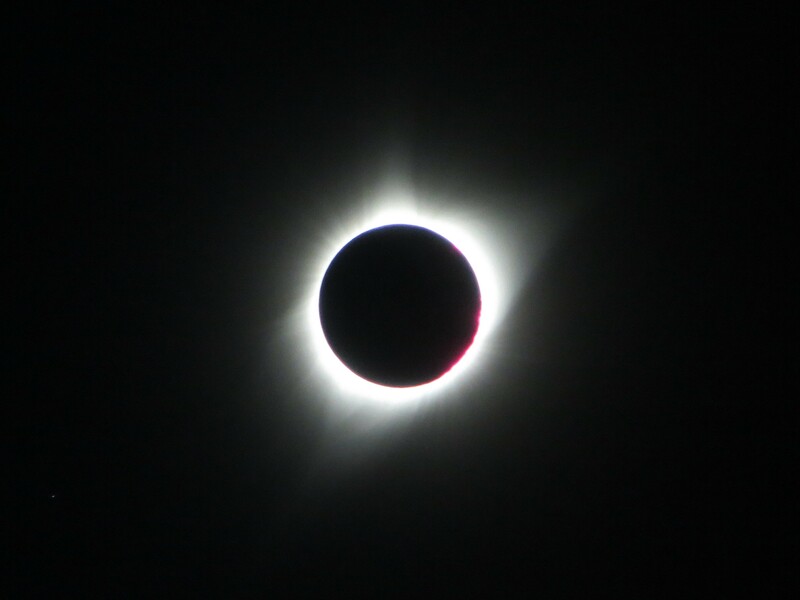 Once the sun’s disk is completely obscured the Corona becomes visible as smokey rays of light emanating from behind the moon. 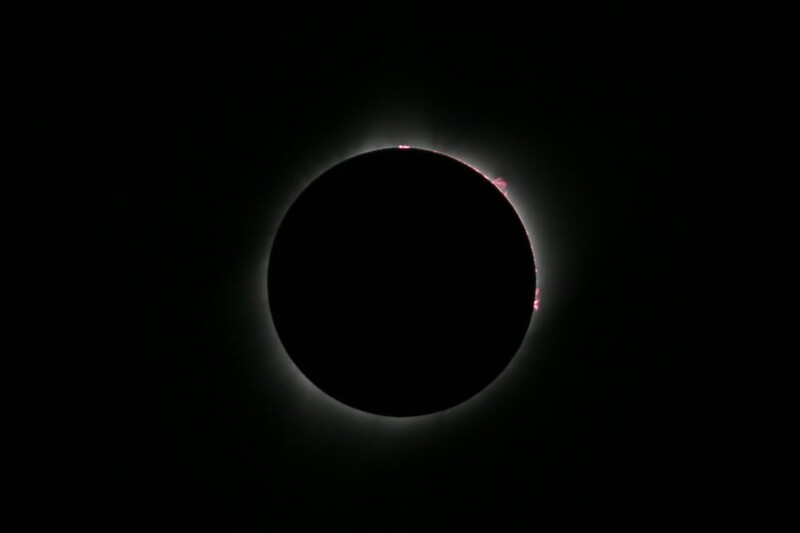 At this point you can also see “Baily’s Beads”, which are more distinct balls of bright, crisp, white light dancing along the inner ring of the Corona. If you’re lucky, you can also see “prominence”, which are red arcs or tails shooting out from the disk (these are plumes of hot gas ejected from the sun). The spectacle ends with another diamond ring, and then in the blink of an eye it’s all over. It was the fastest minute of my life, but one of the most memorable—well worth trip! If you missed this years’ event I highly recommend another one in the future. The next total solar eclipse in North America (in 2024) is supposed to be even better, since the moon will be closer to earth, making the path of totality much wider. Pyro, 7b, at Grotta della Strapatente. For our last climbing day of the trip, we chose the region around the village of Boragni. This area has a wide selection of crags within a small area, and also seemed to offer some of the best tufa climbing in Finale. 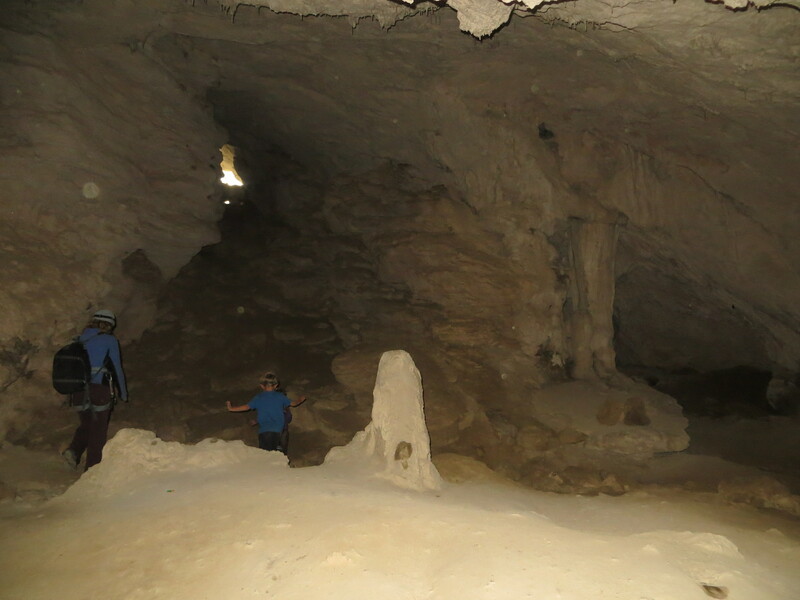 It also offered another spelunking adventure for the kids, with two crags connected by a 100m-long cave (fortunately this cave didn’t require any fixed lines or scrambling). Commuting between Domus Aurea and Grotta della Strapatente. The first crag we visited is called Domus Aurea. This was a small crag with only a few routes, but it has a nice curtain of steep tufas. After warming up, we headed to the phenomenal Grotta della Strapatente. 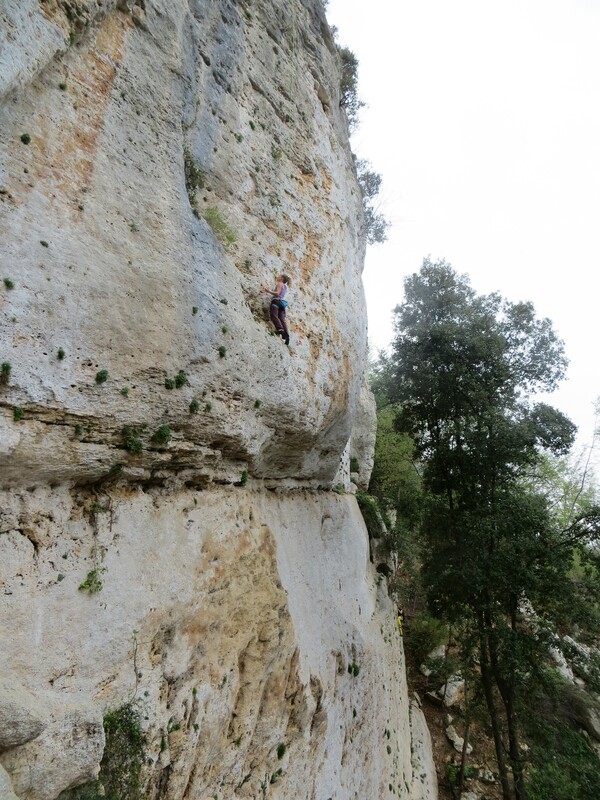 This cliff is famous for an 8b+ (5.14a) called En Attendant Berhault that climbs through a horizontal roof on big stalactites, but we were here for the amazing wall of flowstone to the right. I climbed some truly fantastic tufas on this trip, but these were the most fun. 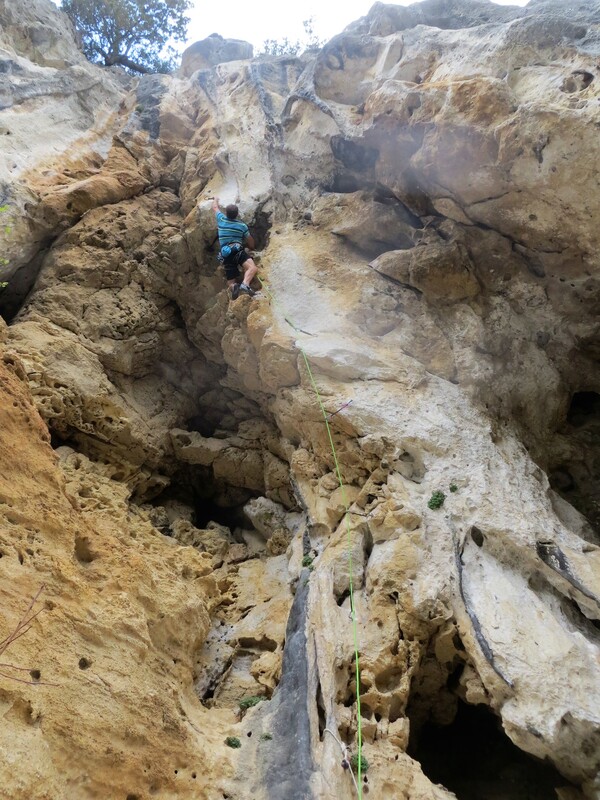 Climbing Pyro, 7b, on the amazing wall of tufas at Grotta della Strapatente. My favorite route on the wall was a snaking 7b called Pyro. The route flowed seamlessly—just when one tufa ends, an incut pocket appears to link the movement into the next tufa. The route was never super hard, but continuous and sequential. The tufas on this route were incredible—it seemed like each drip was sculpted with a climber’s hand in mind. It was easily the best route I did in Finale. Memobox, 7b, another great tufa line at Strapatente. Kate enjoying the heavily-pocketed start of Memobox. After a few more of the wall’s stellar tufas, we packed up one more time and headed back down the hill to a stacked cliff of moderates called “Bastinata sinistra Boragni.” The cliff is enormous, with pitches reaching 40m, a few multi-pitch lines, and over 70 routes from 5.8 to 5.12. It was a great hang for kids, with a nice open base, and they both fell fast asleep as soon as we arrived. The climbing varied from steep slabs to very-slightly-overhanging walls covered in pockets. Some of these pockets were huge incut jugs, some just looked like that from below. Silt from runoff was problematic on some of the routes, but most of the lines were long and clean. The best route we did was a popular 40m 5.10 called Change the World. I had to scrounge up every draw and sling, back-clean a few bolts, and skip some others, but it was a fun and airy journey. 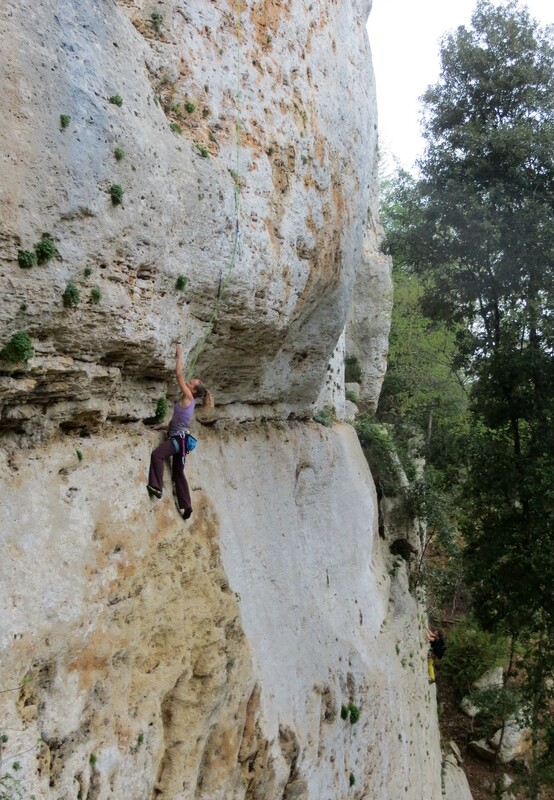 Kate at the bulging crux of Change the World, 6b, at Bastionata sinistra Boragni. Of all the places we visited, I find myself most inclined to return to Finale. Not because the climbing was the best—it wasn’t, but because the lifestyle was so relaxing. Minimal driving, a wide variety of routes, and very few crowds. Even when the climbing is bad (it never was), you can look forward to capping off the day with a casual stroll along the beach and enjoying a delicious meal. It would be a great place to live as a retired climber—lifetimes worth of routes to climb, with none of the hassle of other venues. Higher on Change the World’s endless sea of pockets. The anchor is still out of the frame! All told, it was an awesome climbing vacation. We visited a ton of new crags, saw some amazing sights, and had a great time. Generally we fizzle out at the end of these trips–ending up exhausted and longing for home. That never happened on this trip. The kids were really well-behaved the entire time, and relatively self-sufficient. At 6 and almost-4, it feels like we’re through the tunnel from a “climbing with kids” perspective, and our horizons are broadening once again. They managed many long days (and long approaches) with few complaints. Another important improvement over previous trips was that we rented houses in both destinations. I wasn’t sure how that would pan out, but it worked really well and was surprisingly affordable. It made everything less stressful and eliminated the problem of finding food outside of normal business hours (the crux of our earliest trips). The downside of this approach is that it restricts your travel range, but fortunately we found two base camps with a wide variety of incredible sights and crags. It seemed like we could have stayed forever, and I’d be happy to return to either. 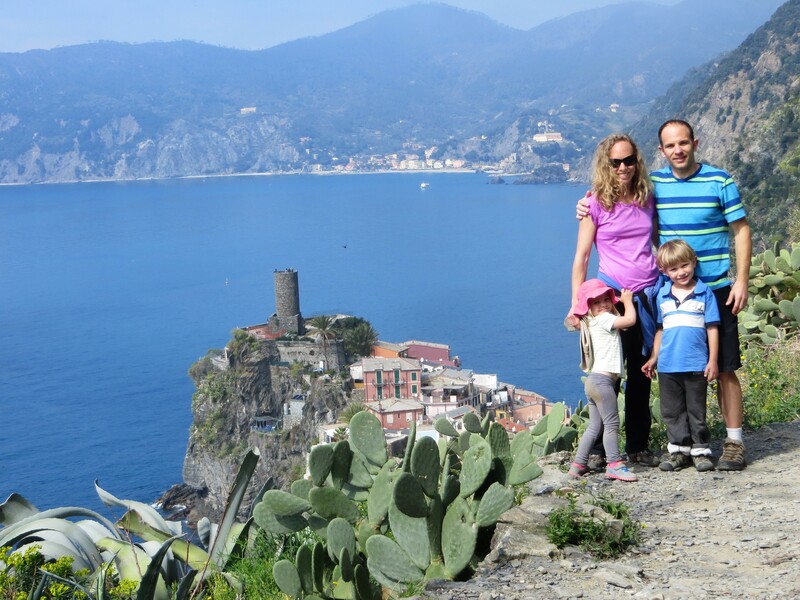 Castle of the Day: Vernazza, along the infamous Cinque Terra trail. We hiked from Monterosso (visible along the shore at center) to Corniglia (8Km total), which Logan managed with no assistance, minimal whining, and just a wee bit of bribery (a Police Boat Lego set).